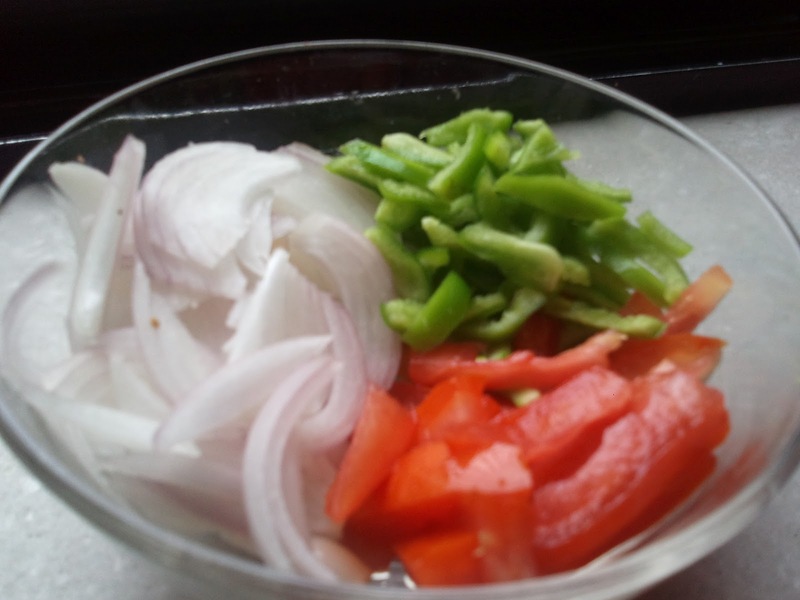 Firstly cut tomato, onion & capsicum by keeping the vegetable upright and slicing it vertically downwards. Also cut bread slices into square pieces. Take a kadhai and pour little oil in it. Turn on the gas and let the oil heat for about 1 min. Put sliced vegetables in it. Sauté on low flame for 2 minutes till onion turn light brown. Put salt, turmeric powder & red chilli powder & sauté it for 1 minute. Add bread pieces to it and mix well. looks delicious! hav 2 try it soon! wen do we come up for a treat....hmmn...?? ?